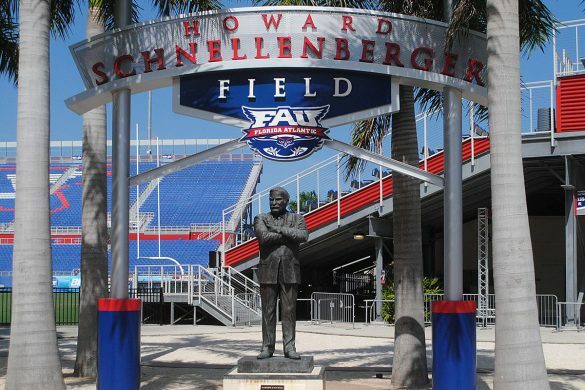 BOCA RATON – FAU plays its third spring game of the Lane Kiffin era on Saturday, giving Owl fans their best opportunity to see their team in action. The Owls are divided into Red and Gray teams with offensive and defensive starters split fairly evenly among both squads. Quarterbacking the red team, Nick Tronti will be handing the ball to the likes BJ Emmons, and throwing it to Harrison Bryant, John Raine and Willie Wright. Justin Agner will have James Charles with him in the backfield, with John Mitchell and Jordan Merrell as receiving targets for Gray. The Gray defense has more starters, including linebackers Rashad Smith and Akileis Leroy, safeties Zyon Gilbert and Da’von Brown, and defensive ends Leighton McCarthy and Tim Bonner. Defensive ends Damian Horton and Marcel Southall, along with linebacker Hosea Barnwell anchor the Red team. Kickoff is scheduled for 2 p.m., with an alumni game set for halftime. What will we be watching on Saturday? Glad you asked. Chuck King: Keeping Harrison Bryant and John Raine on the same team sets Red up for production out of two tight end sets. Bryant split wide frequently during the first spring scrimmage but not so much last week. Look for him out wide much of Saturday, and expect Raine to get plenty of targets, too. Wajih Al Baroudi: The fluid running back rotation. 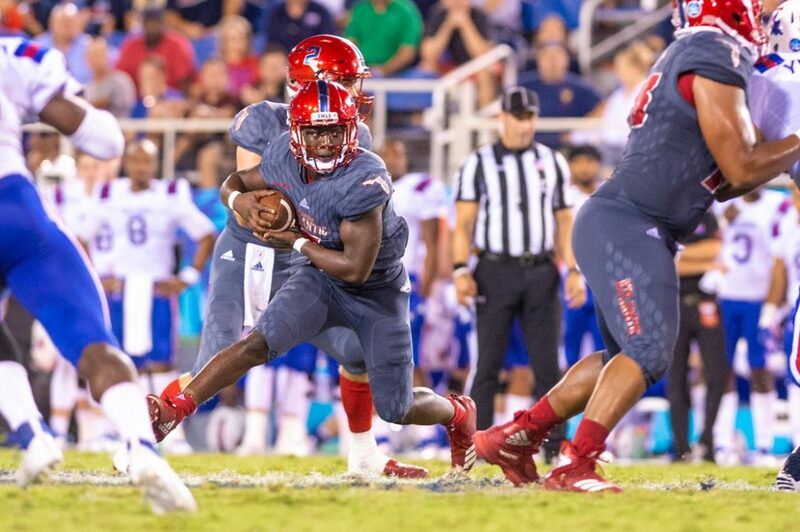 Don’t expect a workhorse this Saturday for either side, as FAU is frequently rotating its backs based on different on-field situations. 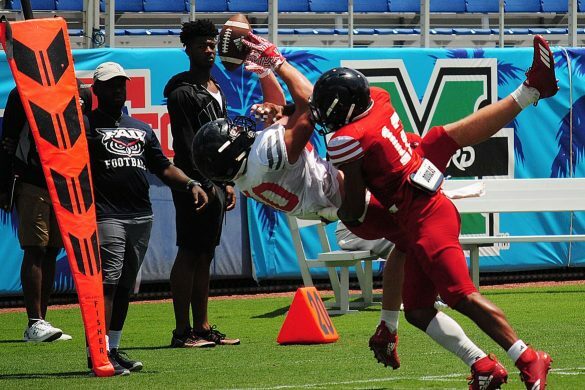 Emmons will be the bruiser on early downs and the goal line for Red; Gray’s James Charles is a shifty runner who’s best in the open field; and Gray’s Daniel Leconte is a strong pass catcher. Malcolm Davidson is a one-cut back that relies on his speed, but he isn’t listed on either roster. King: Several times during last week’s scrimmage defensive end Leighton McCarthy lined up at middle linebacker as part of the scheme for that particular defensive play. Will he do that again on Saturday for the Gray? Having both shed significant weight during the offseason, do Southall or Horton have the speed to do the same for Red? Al Baroudi: Blitzes from the secondary. 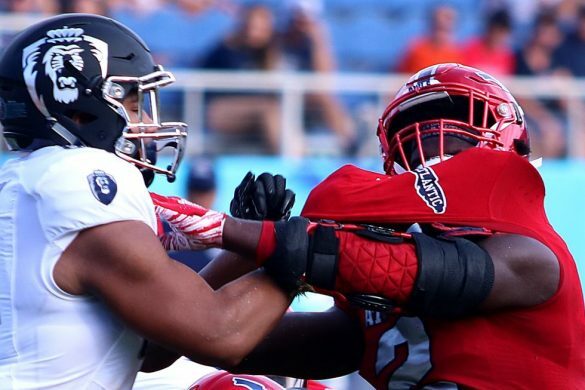 FAU is still working on communication across its new-look offensive line, and defensive coordinator Glenn Spencer will take advantage of those growing pains. 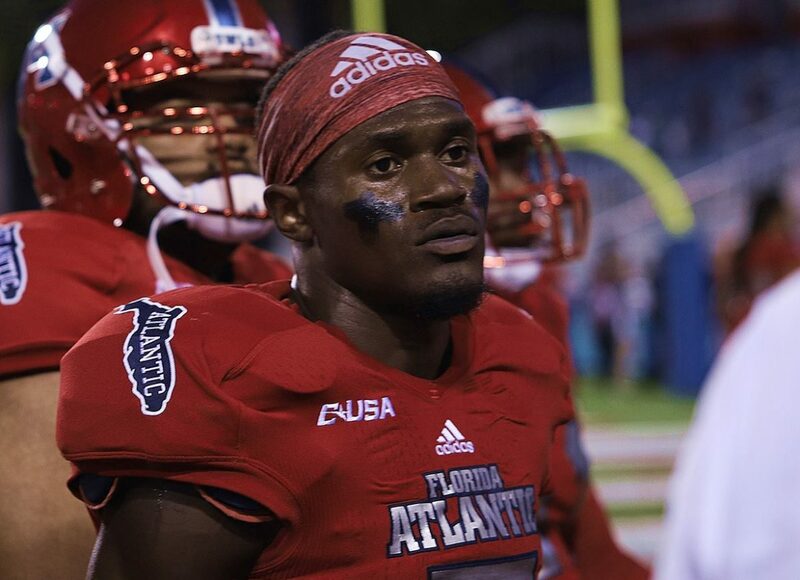 Spencer will send pressure from the nickel cornerback and safety positions, making FAU’s tackles move more than they’re used to. King: Mitchell is due for a breakout at wide receiver on Saturday and flashed at times late last year and this spring, but fellow wide out Merrell has been more consistent. Let’s say this is Merrell’s day, but if both of them perform well, that will likely mean that Tronti enjoyed a big afternoon. Al Baroudi: Harrison Bryant. The 6-5 Georgia native will be the unquestioned No. 1 target on a team lacking receiver depth. Bryant’s been lining up everywhere from out wide, to the slot and in line this spring. But no matter where he is when the ball’s snapped, his tremendous contested-catch ability stands out. King: Cornerback Chris Tooley intercepted a pass in both of the first two scrimmages. He’ll get at least one more on Saturday for the Gray team. Southall, Horton and Charles Cameron will all be playing against what is essentially the Owls’ second string offensive line, so they should be able to apply pressure. Al Baroudi: Akileis Leroy. The hard-hitting linebacker was a tackling machine all spring and that shouldn’t change on the bigger stage. His standout teammate Smith will demand most of the second-level attention from the offensive line, giving Leroy ample opportunities to make plays in the backfield. King: Love to say Red quarterback Trent Wessell here. 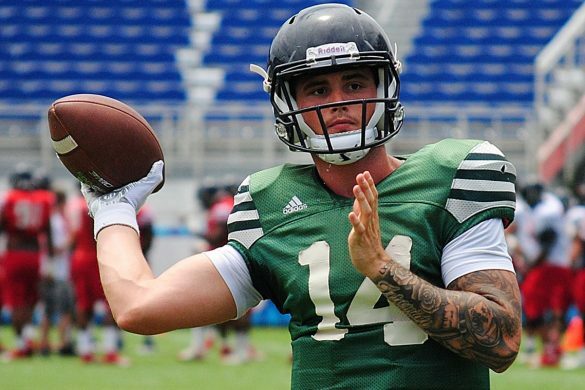 He knows the offense and has thrown three touchdowns across the first two scrimmages. But Gray running back Laconte has looked even better this spring and could work his way into the running back rotation once the season starts. Al Baroudi: Lavante Epson. Starting right guard Nick Weber is recovering from a staph infection and will miss the spring game, giving Epson a great opportunity to make a mark in his place. The JUCO transfer’s strength and athleticism is unquestioned; but his football acumen is. 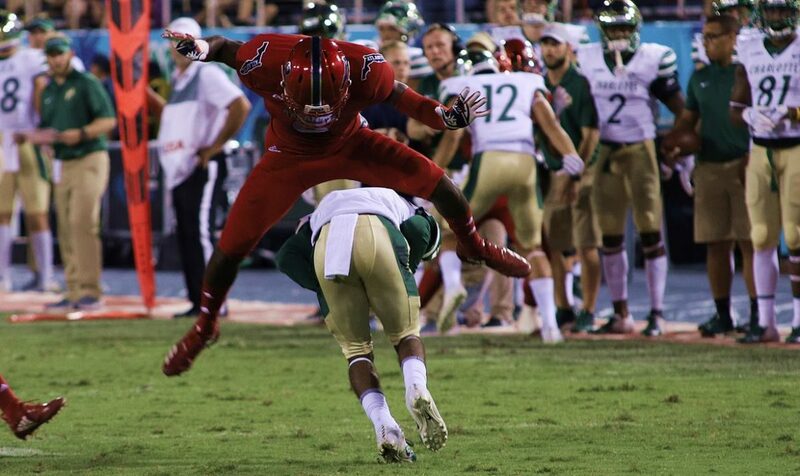 If Epson picks up the playbook well tomorrow and displays the mauling style that got him recruited to FAU in the first place, he can push himself into the starting conversation come fall. King: Redshirt freshman Teja Young is listed at cornerback on the roster but has mostly played free safety this spring. He’s shown a propensity for being around the ball throughout the spring and appears to be a guy who could quickly develop into a contributor. Al Baroudi: Armani Adams. Whether he’s stuffing outside runs or defending deep passes, Adams always seems to be in the right place at the right time. 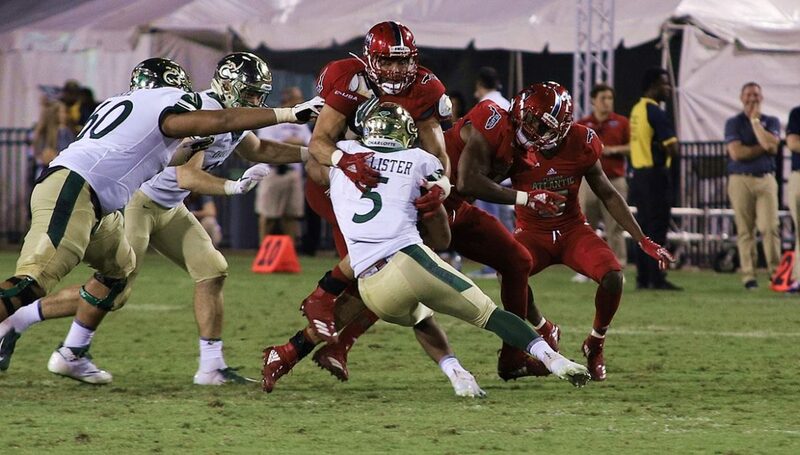 The redshirt-freshman who will be wearing Red is rangy and athletic enough to cover a ton of ground in coverage, and physical enough to thump ball carriers who come his way in the run game. 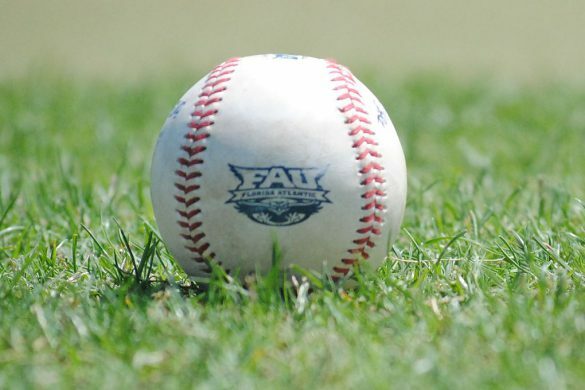 BOCA RATON – FAU signed 22 additional players on Wednesday to a 2019 Signing Class that already included nine early signees. Lane Kiffin proclaimed the class to be the most talented of his three seasons at FAU. Most everyone agrees. 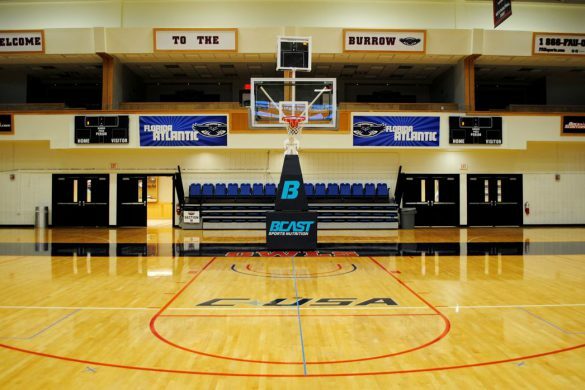 All the major recruiting services rate the Owls’ class as the best in Conference USA. 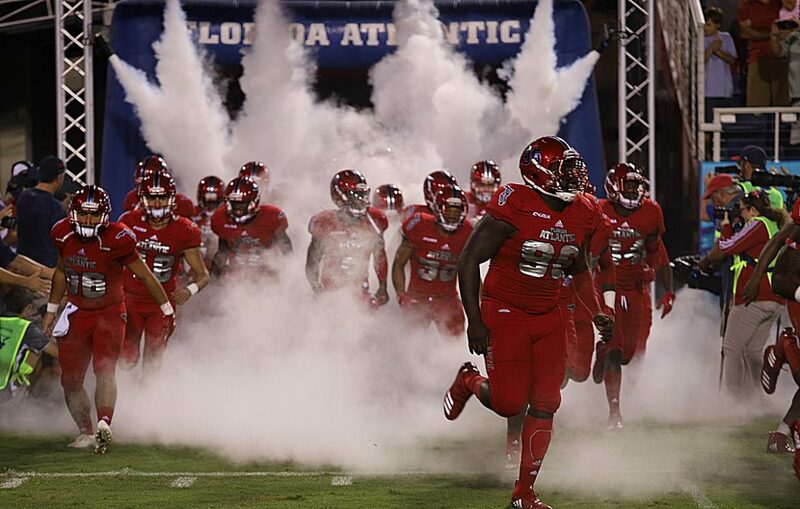 It’s probably the best in the history of FAU football and will be difficult to top. 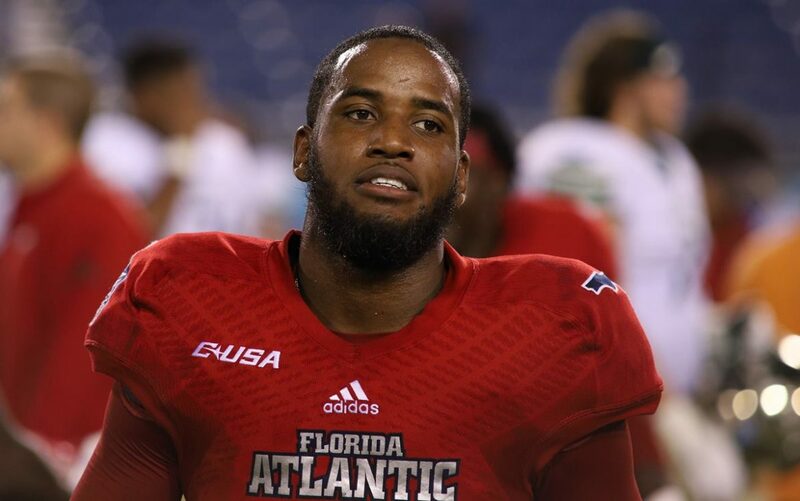 FAU signed a class loaded with players who had offers from Power 5 schools and stole some in the closing days from rival C-USA schools. Now it’s time to break down the class with a little OwlTalk, the first and still finest FAU football podcast. 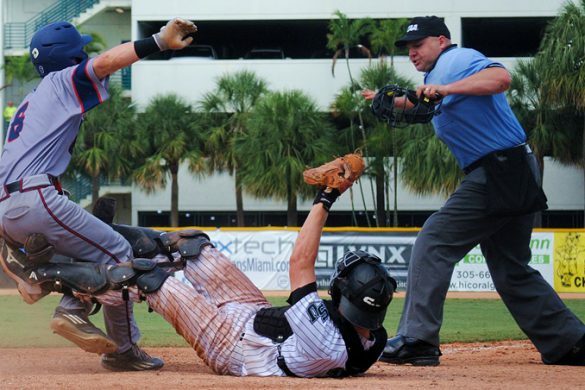 Our host, ESPN West Palm’s Brian Rowitz spent Wednesday covering signing ceremonies. Our Chuck King spent nearly the entire day either on the phone or at the computer – often doing both tasks at once. 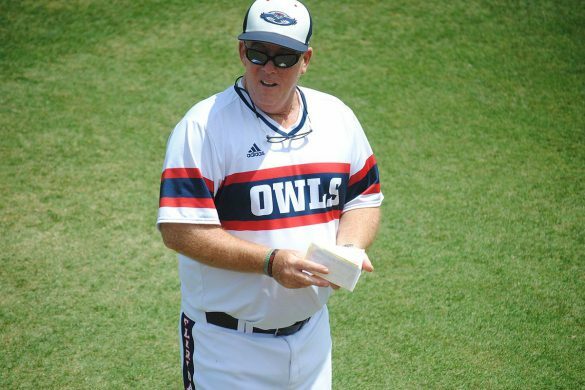 The duo discusses the makeup of the class and how the Owls landed many of the players. Rowitz and King also examine which players will make an instant impact for the Owls and delve into the fairly unique story behind the signing of quarterback Javion Posey. 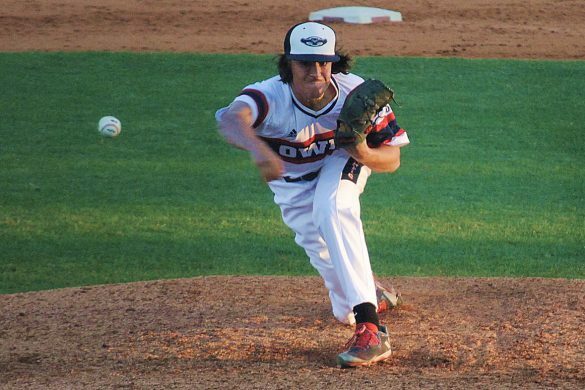 FAU fans have reason to revel in the events of National Signing Day. Re-live some of the best moments on OwlTalk. 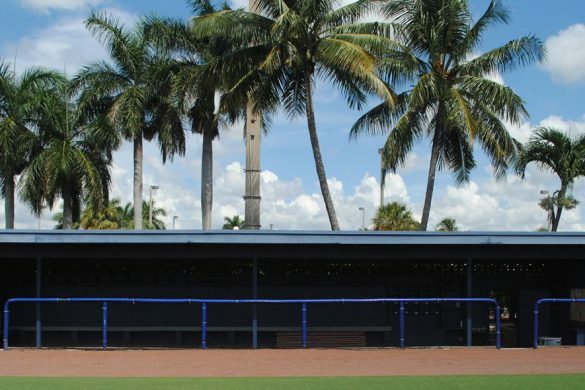 BOCA RATON – When creating end-of-season award stories writers have a tendency to get cute – to pick a surprising choice in an attempt to either show how smart they are or to generate conversation. 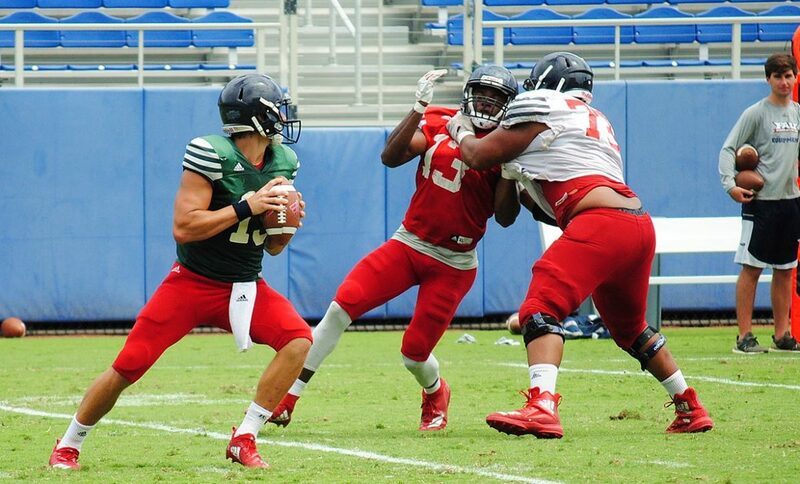 That’s not going to happen with this year’s FAU Offensive MVP selection. 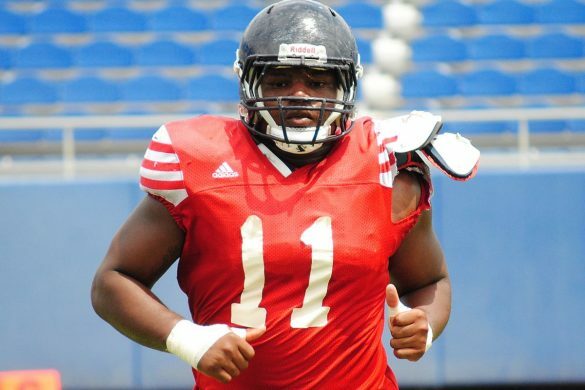 Devin Singletary is the obvious choice – and there really isn’t anyone close. Only 10 players nationally rushed for more than the 1,384 yards Singletary amassed. Seven of those players played at least one more game than Singletary did. None of the players ahead of Singletary played in Conference USA. 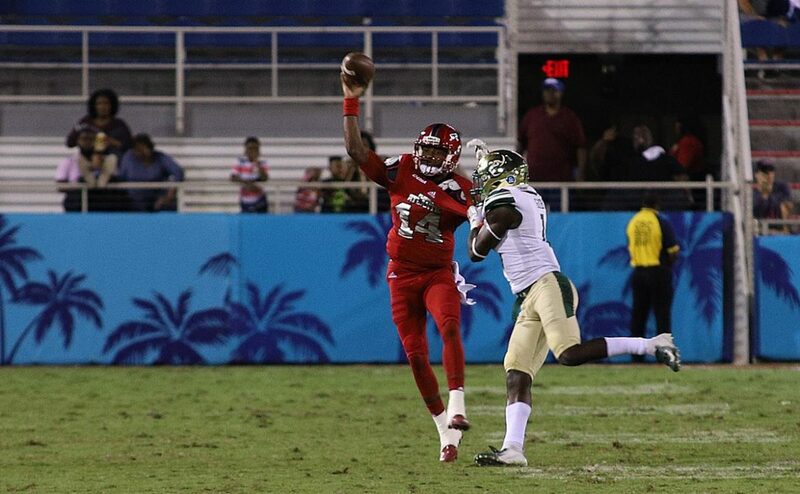 With FAU’s passing game struggling much of the year, Singletary made the Owls go. For Singletary, it’s his second consecutive season winning this award. He won’t claim it a third time. Singletary’s December decision to forego his senior year and enter the NFL Draft didn’t surprise. 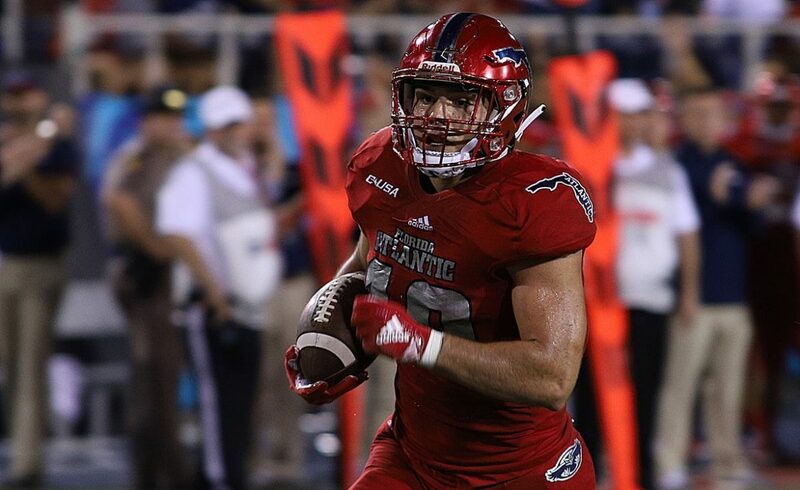 He leaves FAU as the Owls’ all-time leading rushing and scorer. And he accomplished that essentially in two-and-a-half seasons. Lane Kiffin will have a tough time replacing Singletary’s production, and that of Kerrith Whyte, too. Former Alabama running back B.J. Emmons will be given the opportunity to replace Singletary as the featured back. FAU signed Tallahassee-Rickards running back Kelvin Dean in December and on Monday the Owls received a commitment from Hoover (Ala.) running back Larry McCammon. Tyrek Tisdale is expected to be healthy after recovering from knee surgery following the 2017 season, and rising redshirt freshman Malcolm Davidson showed good bursts late in the season. Other offensive players who enjoyed noteworthy 2018 seasons include tight end Harrison Bryant, center Junior Diaz and left tackle Reggie Bain. But Singletary is the choice here. It’s a runaway victory. 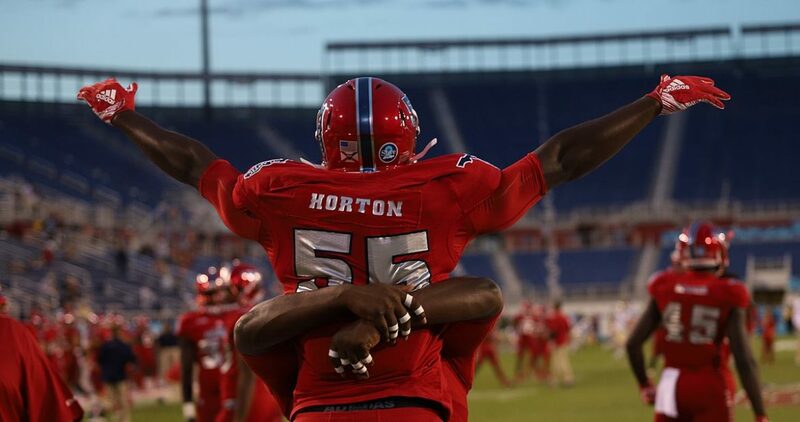 BOCA RATON – The calendar hasn’t reached December yet, but FAU’s football season has already concluded. 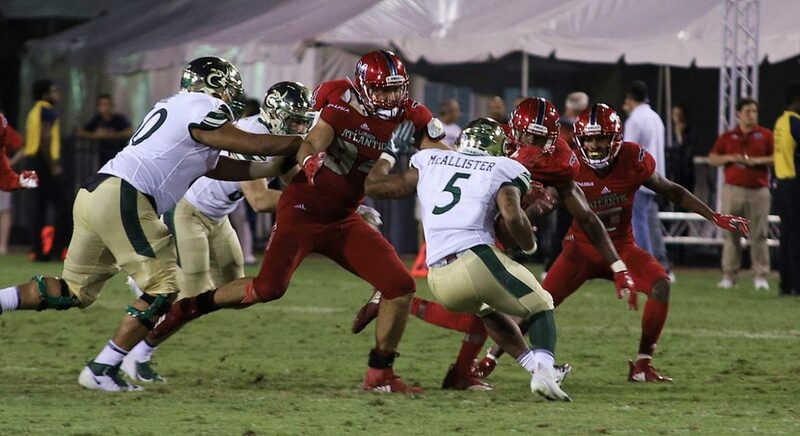 A season which began with Top 25 aspirations and a potential New Year’s Six bowl bid ended in stunning fashion on Saturday with a 27-24 last-minute loss at home to Charlotte. No Conference USA title. No bowl game. No more football. How did this happen to what many thought was an Owls team on the rise? That’s one of the topics covered on the season-ending edition of OwlTalk with Brian Rowitz – the first and still finest FAU football podcast. 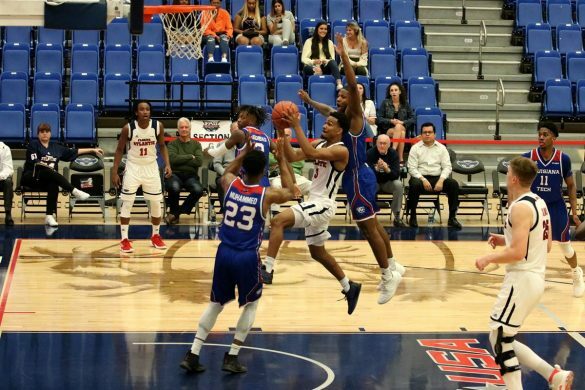 Rowitz, of ESPN fame, and our Chuck King examine the Owls’ offensive struggles this season – especially in the second half of C-USA games. Where does responsibility rest? Poor play calling? Inconsistent quarterbacking? Substandard wide receiver play? The duo also discusses a defense that didn’t show badly in Conference USA play, but also never rose to the level expected during fall camp. 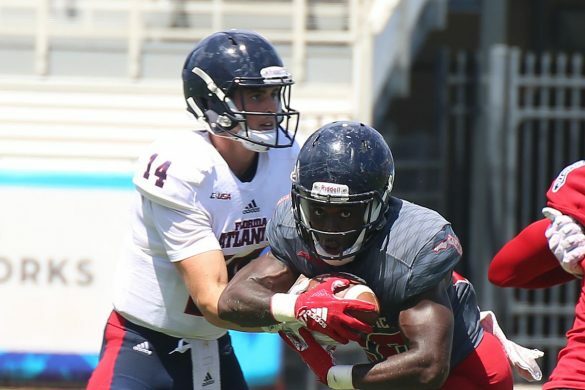 And, of course, OwlTalk looks ahead to offseason expectations from the Owls, which means discussing whether star running back Devin Singletary will be an Owl next season or will elect to make himself available for the NFL Draft. 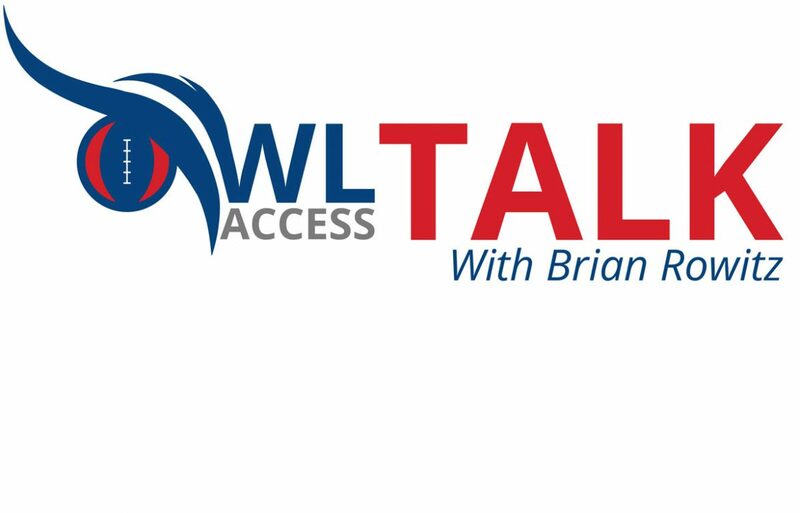 It’s a season-ending edition of the OwlTalk FAU football podcast that comes earlier than most expected, which attempts to put the 2018 Owls season under second-year coach Lane Kiffin in context. Give it a listen, then dream of things to come from the Owls next season. 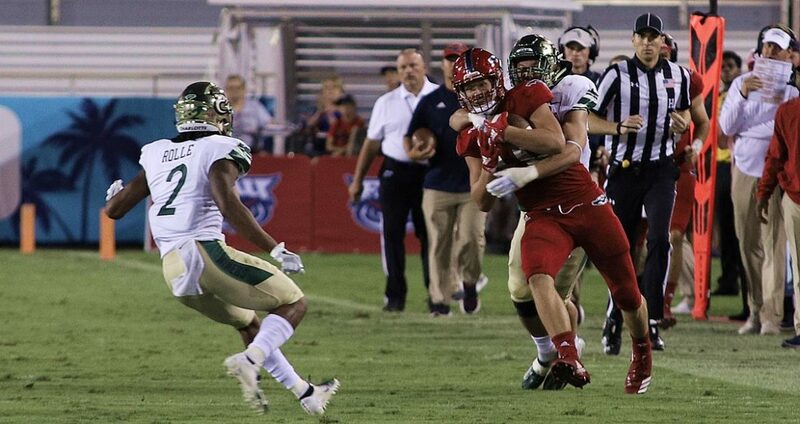 BOCA RATON – FAU’s season ended on Saturday night with a 27-24 home loss to Charlotte, concluding one of the most disappointing years in the football program’s history. 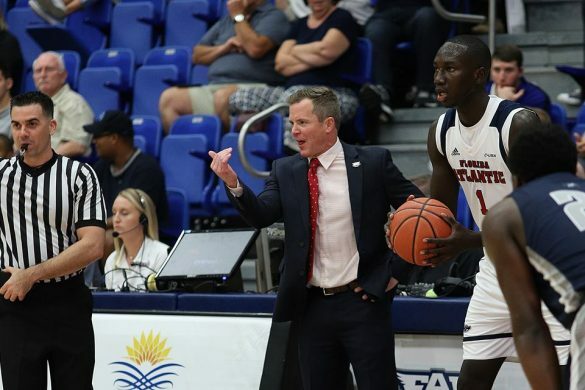 FAU began the season with hopes of cracking the Top 25, yet never found any traction once the season kicked off. 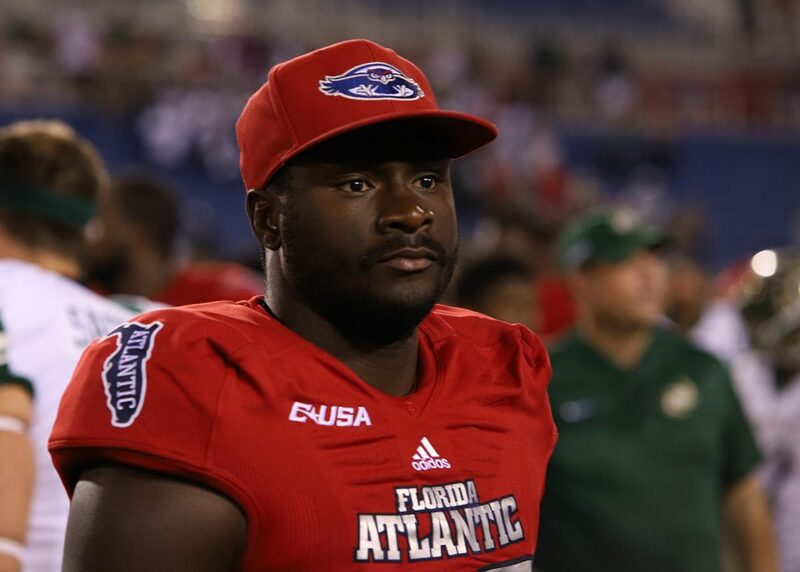 The preseason pick to win Conference USA failed to become bowl eligible, ending the season with the first losing recording in Lane Kiffin’s collegiate coaching career. 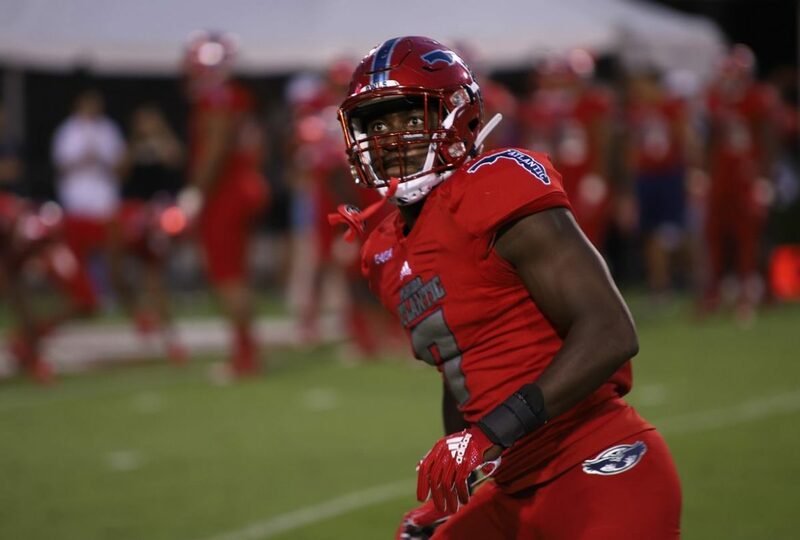 Each week following the game our Chuck King and Wajih AlBaroudi examine the good, the bad and the curious from FAU football with our Four Down Territory Analysis. King: Kiffin didn’t re-insert quarterback Chris Robison into the game for the final drive. Robison played the first three quarters but Kiffin elected to turn to De’Andre Johnson after the offense stagnated in the second half. 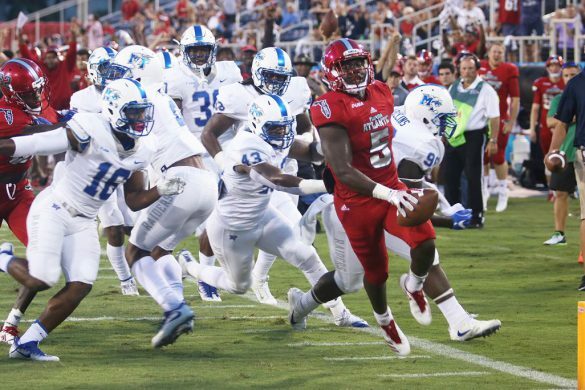 Johnson moved the ball with his legs, but the Owls needed a quick strike in the final seconds, and Robison’s bigger, more accurate arm gave the Owls their best – albeit still slim – chance at driving for a game-tying field goal. 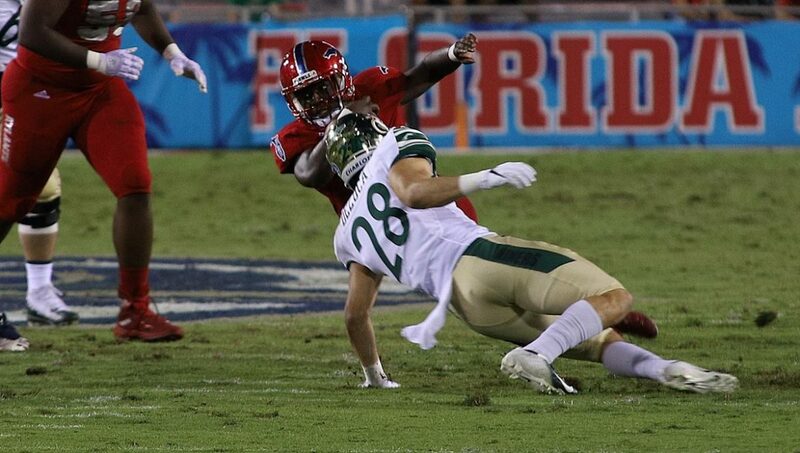 AlBaroudi: FAU’s offensive implosion in the third quarter. A seamless first half saw the Owls on pace for a whopping 610 yards of offense. But it looked like a different team appeared in their place after the halftime break. FAU managed only 56 scoreless yards in the third quarter, nearly a third of the 152.5 they averaged over the first two quarters. It’s tough to put a finger on what exactly went wrong for the unit. 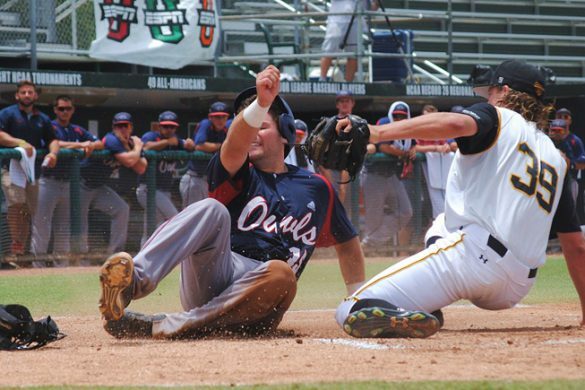 But whatever the reason, it was the final blow to the Owls’ 2018 season. King: Tight end Harrison Bryant caught five passes for 86 yards. 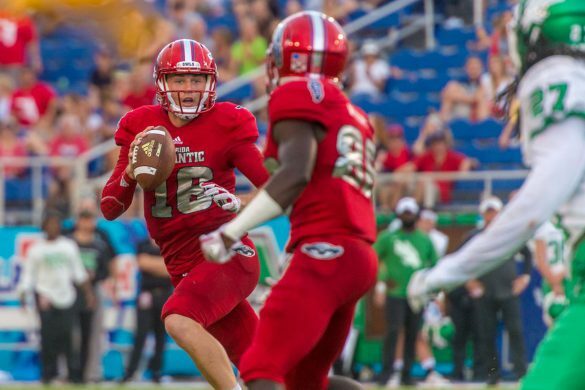 FAU quarterbacks finally began looking downfield for Bryant and he consistently rewarded them with big games. 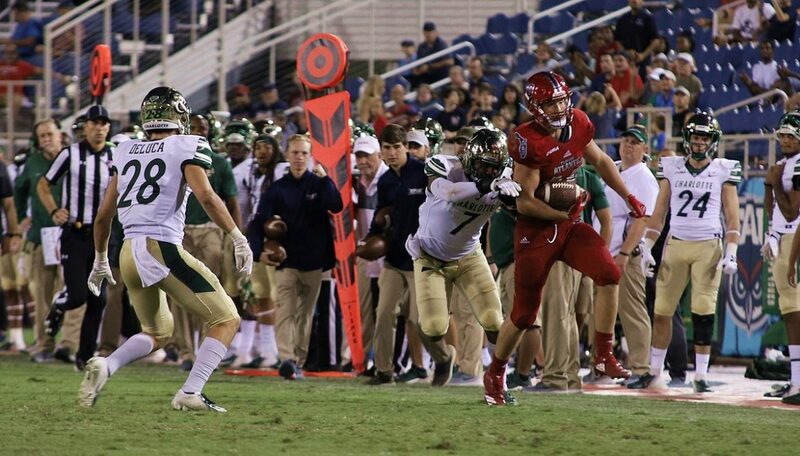 FAU also incorporated John Raine into the game plan, and he responded with a walk-in TD. 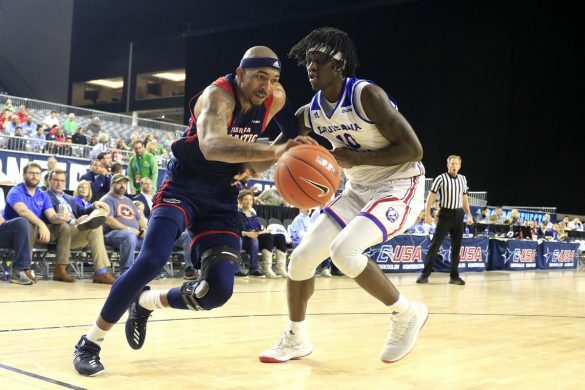 It’s a mystery why FAU neglected a weapon like Bryant for much of the season. AlBaroudi: Hunter Snyder. Despite it coming in a losing effort, there isn’t much of a better way to end a college career than the way Snyder did last night. The senior defensive end was a force on the edge, collapsing the pocket with ease to put constant heat on Charlotte quarterback Hasaan Klugh. Tied for the team lead with six tackles, Snyder added a sack and a tackle for loss. He could have had a second sack with a tackle on Klugh in the backfield but the play was ruled a run because of the quarterback tucking the ball down. King: Charlotte coach Brad Lambert had several options when facing a fourth-and-five from the FAU 39 in the final minute. He could have punted and forced overtime. He could have tried to earn a first down, thereby getting the 49ers into more realistic field goal range. Lambert went with a third option. Deciding that the 49ers were close enough already, Lambert turned to Jonathan Cruz, who drilled a 56-yard field goal with plenty of room to spare. Had he missed the kick, FAU would have had the ball near midfield. But he drilled it. And Charlotte celebrated. AlBaroudi: Coach Lane Kiffin electing to kick a field goal with 3:12 remaining rather than going for a fourth-down conversion. Quarterback De’Andre Johnson pumped some life into the Owls offense in the final frame, driving his team down the field with a chance to either tie the game with a field goal or take the lead with a touchdown. 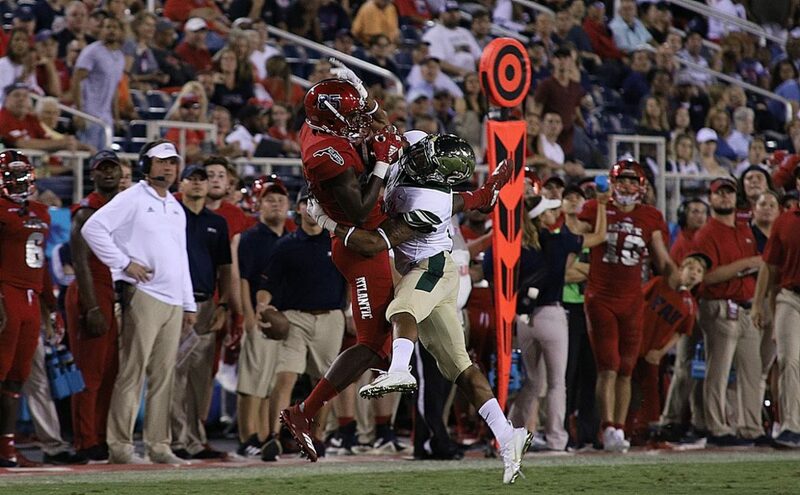 But when FAU hit fourth down in Charlotte territory, Kiffin had a decision to make. And the result of that decision came to the surprise of many. Kiffin went for the tie with kicker Vladimir Rivas. 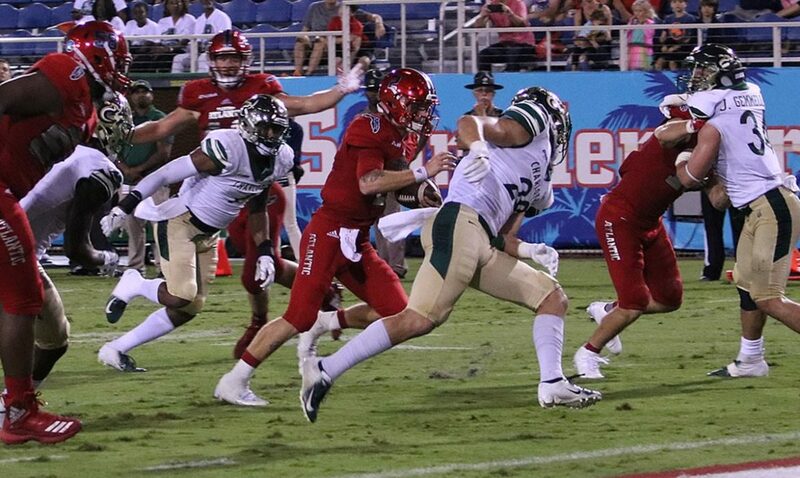 FAU came into the game leading the nation in fourth-down conversion attempts (39), so to not see an aggressive call in that scenario was odd to say the least. 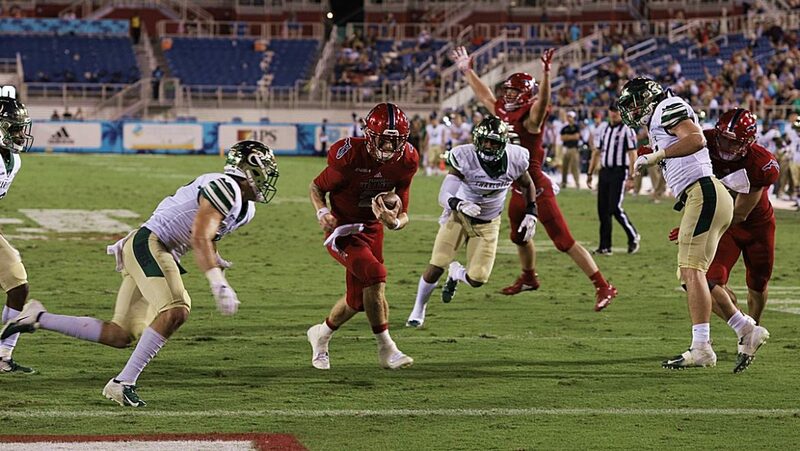 King: FAU didn’t deserve to go to a bowl this season – not judging by the Owls’ play, anyway. The only consistent aspect of their play this season was that they kept making the same mistakes from the beginning of the season until the finale. FAU couldn’t convert third downs. Defense couldn’t make big stops. The special teams were unreliable – to be kind. Perhaps most shocking of all was to see how many Owls were smiling and posing for photos with members of Charlotte after the game. 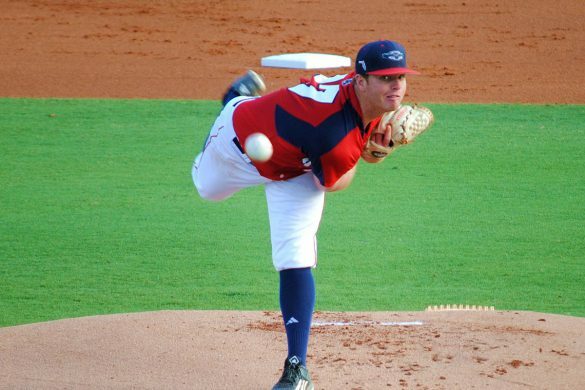 FAU’s season had been over by minutes, and many Owls didn’t seem to care. 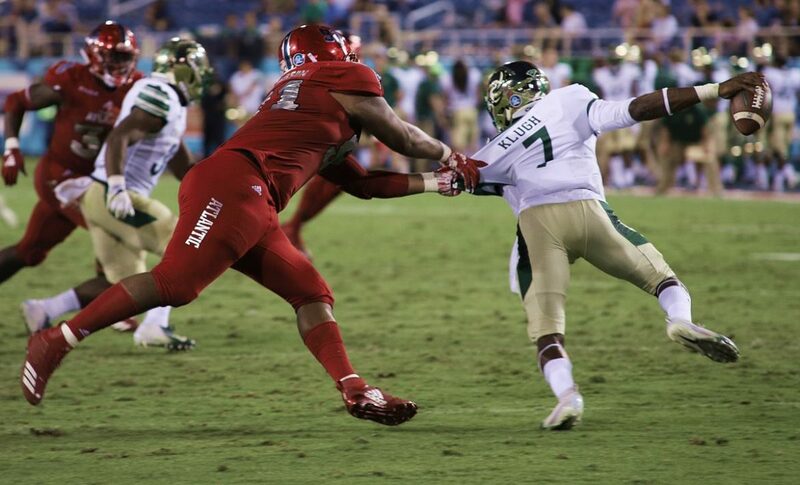 AlBaroudi: Noah Jefferson showed exactly how much of a game-wrecker he can be at the heart of the FAU defensive line. Receiving his biggest snap share of the season, the 6-foot-5 330-pound defensive tackle delivered on his extended playing time with a dominant performance. The former USC Trojan was feasting on Charlotte’s interior line, eating up blocks to free up his counterparts on the edge to make plays. But he also shared in the stat-sheet stuffing himself. Jefferson had a season-high five tackles and a sack. And like Snyder, Jefferson had a tackle on Klugh near the line of scrimmage that could have easily counted as a second sack. 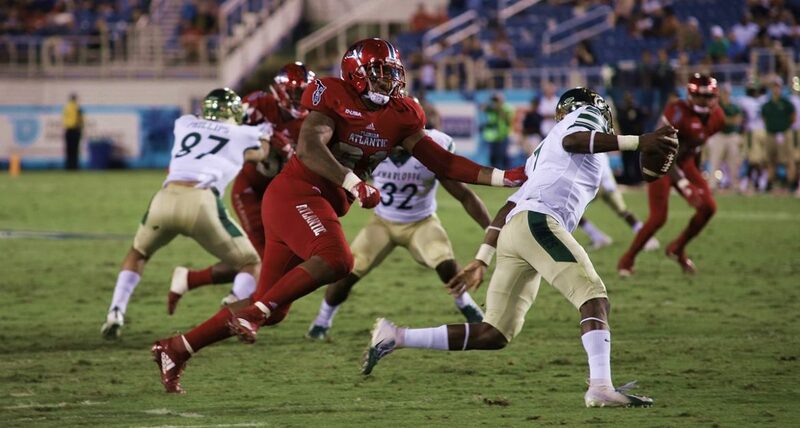 FAU needs to defeat Charlotte to become bowl eligible, thereby salvaging what has been a disappointing and frustrating season for the Owls. 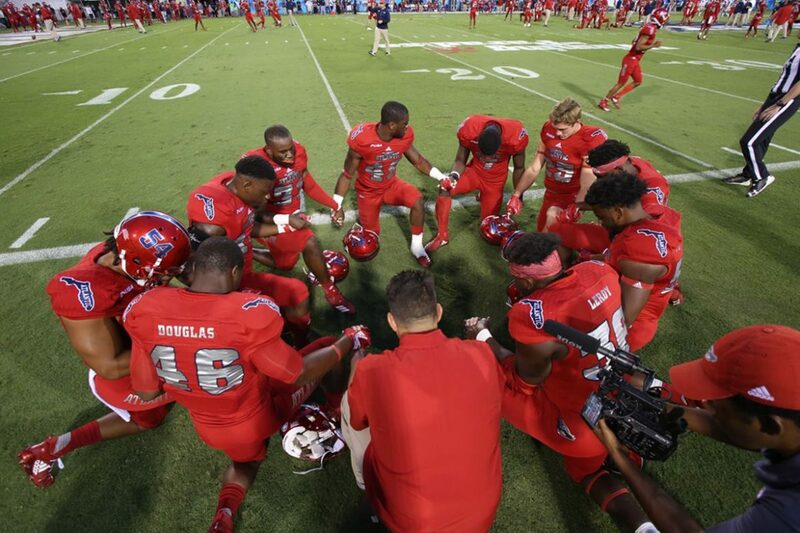 We’ll keep FAU fans updated throughout with news and analysis from the game. 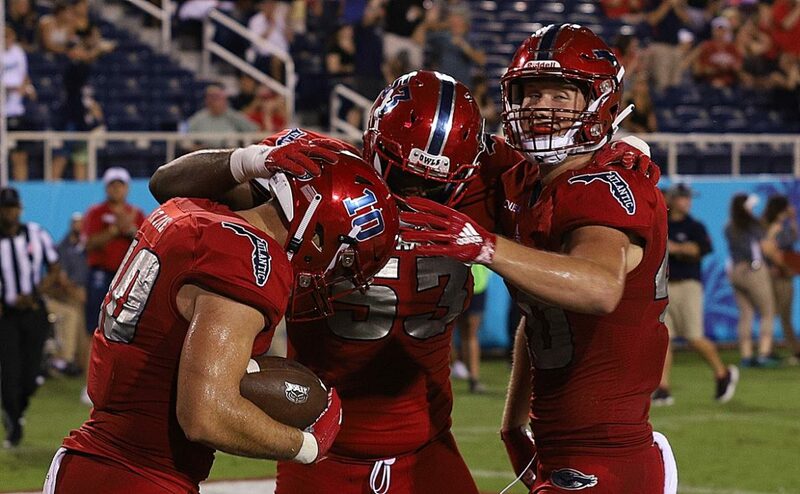 Tag your Instagram photos with #FAUGameDay and you shots from the tailgate, the stadium or your game day cave will become part of our coverage of Lane Kiffin and FAU’s attempt to defeat Charlotte. Also, discuss all aspects of the game below the Instagram and Twitter feeds on our message board. It no longer requires fans to create an account to participate. You only have to be human. Can you do that? This topic contains 0 replies, has 1 voice, and was last updated by FauOwlAccess 4 months, 4 weeks ago. 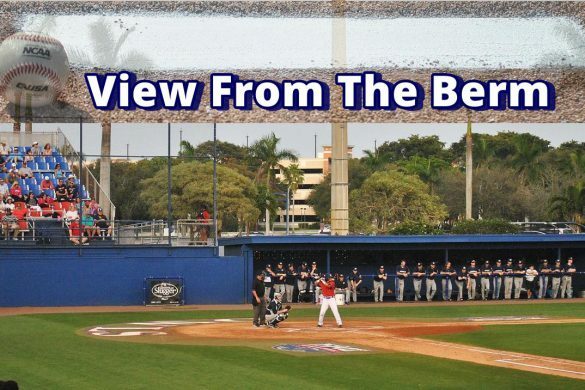 BOCA RATON – Three months ago FAU didn’t figure to be in this position. 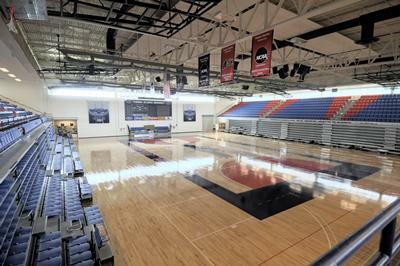 The defending Conference USA champions were picked to repeat. A second-consecutive bowl bid was a certainty. The season hasn’t worked out that way. 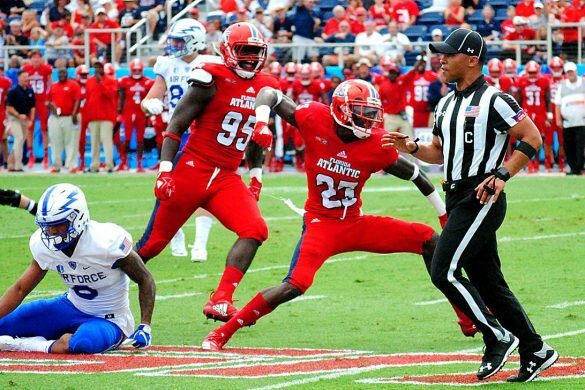 Coming off last week’s loss to North Texas, FAU must win on Saturday vs. Charlotte to become bowl eligible. Even then a bowl bid isn’t a certainty. What do the Owls need to do to defeat Charlotte and become bowl eligible? That’s one of the main topics of discussion on a special edition of OwlTalk. With Brian Rowitz vacationing this week, none other than Ken LaVicka, the voice of the Owls, fills in as host on OwlTalk – the first and still finest FAU football podcast. 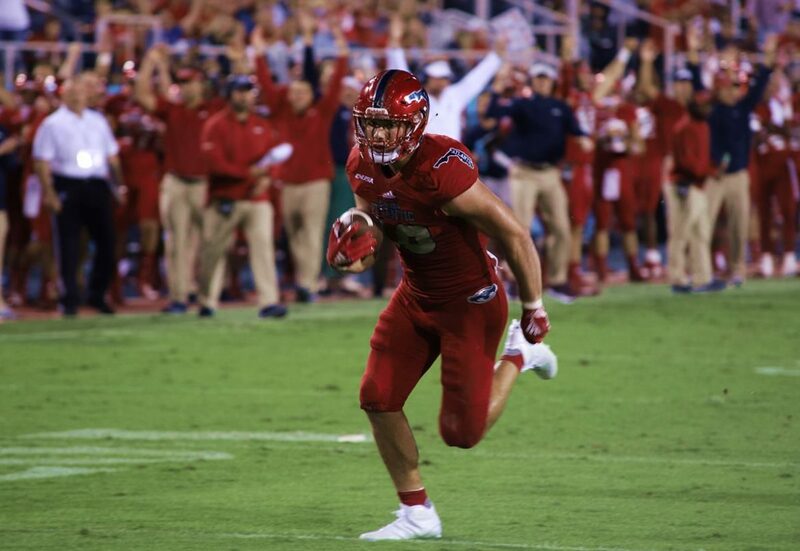 LaVicka and our Chuck King review what was an entertaining game against North Texas that ultimately ended in frustration for coach Lane Kiffin and FAU fans. The duo tackles some controversial calls and interesting strategy decisions. They also look ahead to Saturday’s game against a Charlotte team that announced earlier in the week it would not be retaining coach Brad Lambert. What effect will that decision have on the 49ers? That’s another topic of discussion on OwlTalk. So give the OwlTalk football podcast a listen. It will make you a better fan. 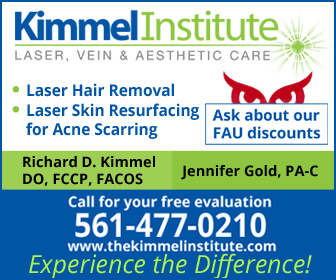 BOCA RATON – The formula which would ensure FAU a bowl bid is complicated, but the first step is as simple as it gets. The Owls need to win on Saturday against Charlotte to become bowl eligible. A loss, and the season is over. The Charlotte game would have been significantly easier to predict had the 49ers not announced following last week’s loss to FIU that they wouldn’t be retaining coach Brad Lambert for next season. But Lambert will coach Saturday’s game. Will the 49ers rally to give their coach a going away present? Or, with assistants scrambling to land jobs for next season, has Charlotte already packed it in? Each week our Chuck King and Wajih AlBaroudi offer their predictions for what will happen during Saturday’s game. 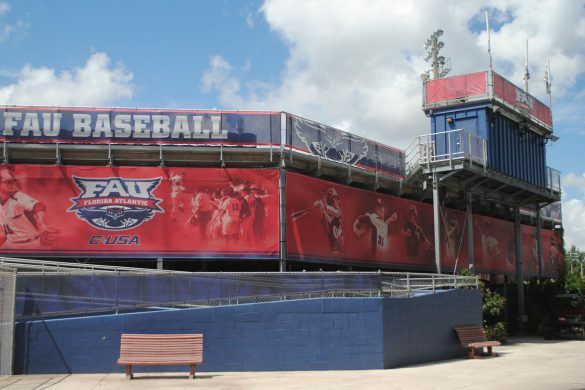 Here’s what they are expecting when Charlotte comes to FAU to face FAU. King: Running back Gerald Hearns scores a touchdown. Primarily a special team performer this season, as expected, the Owls’ third-string running back only has 11 rushes for 94 yards on the year. 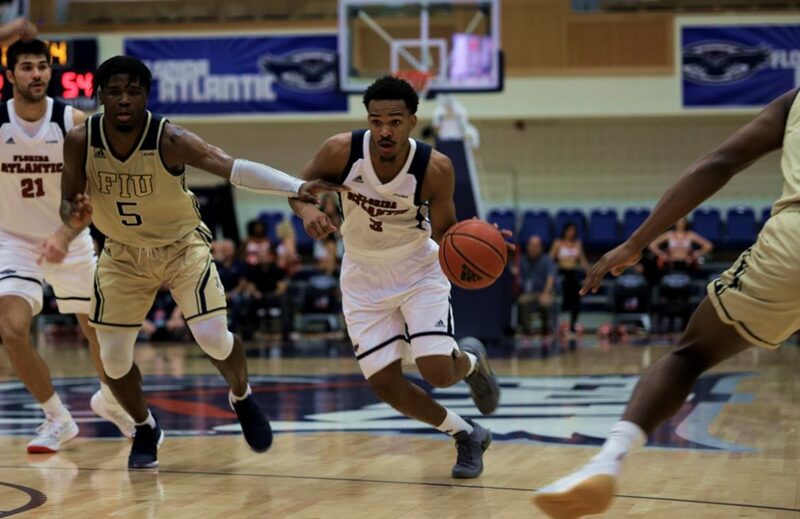 A former walk-on who was awarded a scholarship prior to the start of the season, Hearns will be playing his final regular-season game at FAU. With the Owls leading big late, Lane Kiffni gives Hearns the ball and the senior converts a red zone opportunity into his first career touchdown. AlBaroudi: Jovon Durante has a double-digit reception game. Charlotte stops opposing rushing attacks at one of the best rates in the country, but its pass defense has suffered as a result. 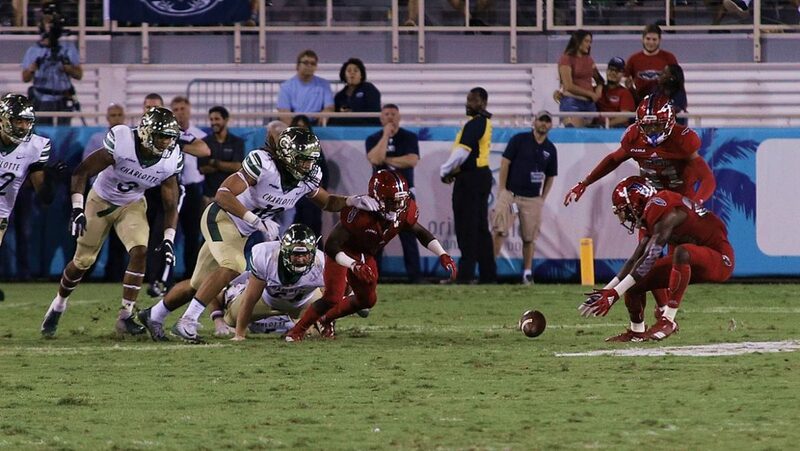 The 49ers are allowing the highest completion percentage in Conference USA (66.8), giving up plenty of dump offs underneath by selling out to stop the run. 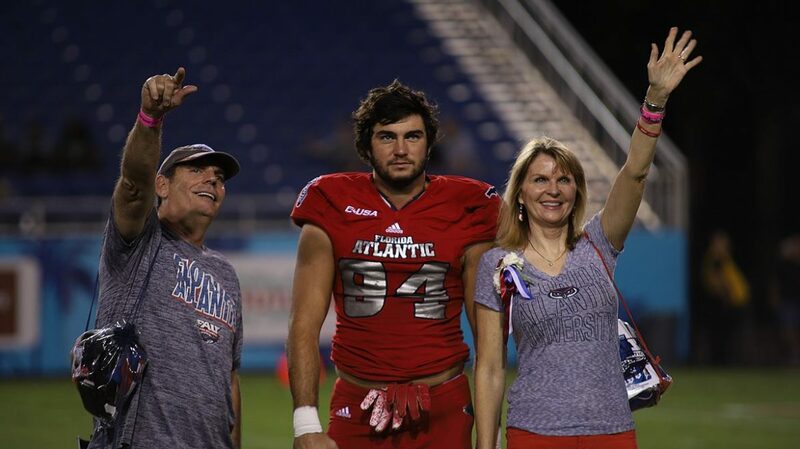 Extra defensive attention will be paid to Harrison Bryant after the tight end’s big game last week, which sets up Durante for a high-usage night in FAU’s regular-season finale. King: Linebacker Rashad Smith intercepts another pass for the Owls. 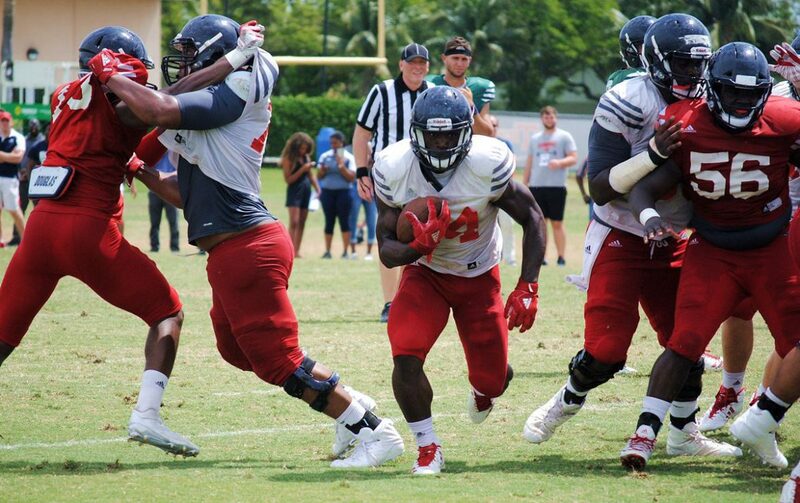 Smith already leads FAU with four picks this season. That’s quite a surprise considering the quality of defensive backs the Owls boast. But Smith has made the most of his opportunities, where Shelton Lewis, Jalen Young, James Pierre and Chris Tooley have struggled. 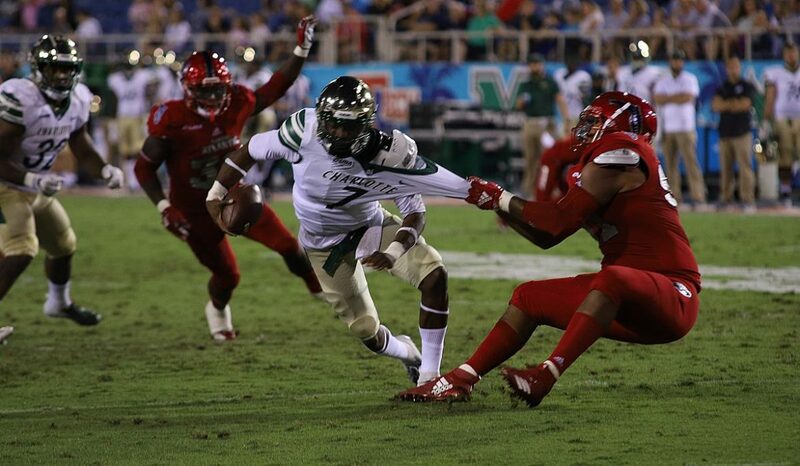 Smith’s interception ensures that he will lead the Owls in picks this season. AlBaroudi: Charlotte quarterback Hasaan Klugh will throw a pick-six. A former two-year starter, Klugh has been a backup for most of this season before earning his first start last week. Klugh will try to make up for lost time in his final collegiate game, forcing throws into tighter windows than what’s available. FAU will take advantage of that overagressiveness by jumping the passing lane and taking an interception to the house. King: If FAU wins the game, the Owls will go bowling. Where? That’s anyone’s guess, but let’s say it’s a short trip to the Bahamas. 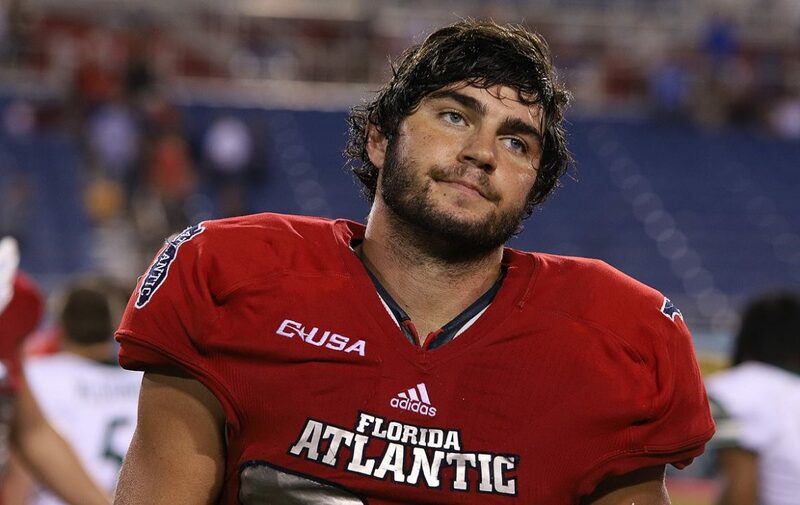 Even at six wins FAU isn’t guaranteed to go bowling. 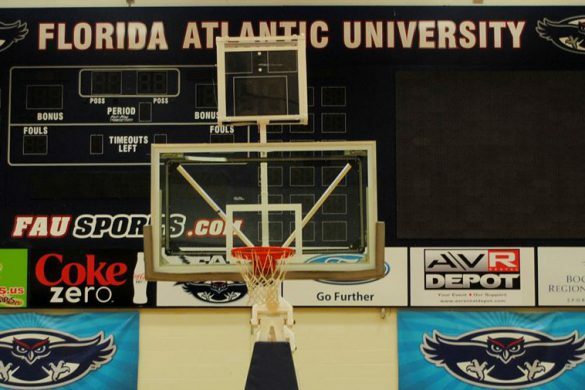 Many things have to go right for FAU, including losses by teams from prominent leagues. But the star power of Lane Kiffin and the curiosity regarding Devin Singletary prove to be too much for television to resist. 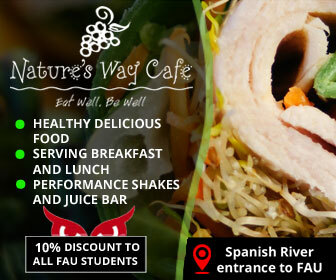 AlBaroudi: FAU will start slow but eventually win by three scores. When coaches get fired, logic can often be thrown out the window in predicting how their team will respond. And that is exactly the case with Lambert, who will be manning the sidelines for Charlotte a final time. The 49ers will come out strong to honor the only coach they’ve had in program history, but the rally won’t last long. 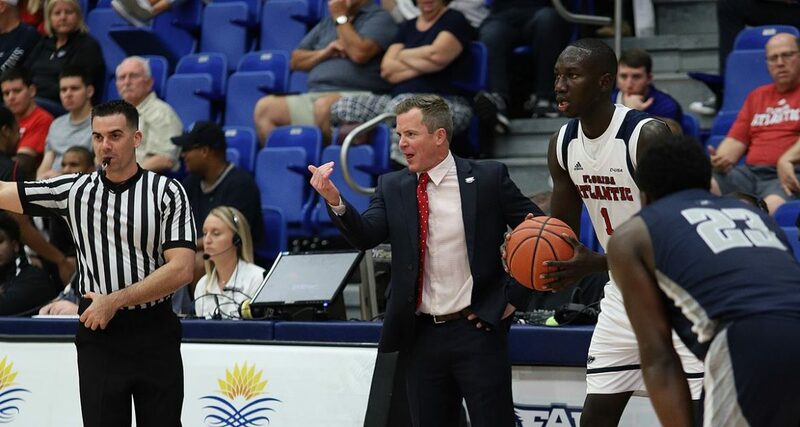 FAU is simply the more talented team and will put that on display once Charlotte’s initial energy boost loses its steam.